Watch this video of the Euro Step and you decide if this new technique is “within the prescribed limits” of movement or should be ruled a traveling violation. Which foot is the pivot foot? How much legal movement may the player initiate (after ending their dribble)? How much movement would be considered “in excess” of prescribed limits? Keep in mind, it is not possible for a player to “travel” while dribbling. Of course there could be other violations such as palming or illegal dribble – but not traveling. When watching the “Euro Step” video note where the dribbler was relative to a position on the floor when he ended the dribble. If a player ends a dribble with both feet on the floor, either foot may become the pivot. If both feet were off the floor and that player lands on both feet simultaneously, either foot may become the pivot foot. Once one foot is moved, the other becomes the pivot foot. That is not the case in the Euro Step. If both feet were off the floor and that player lands on one foot followed by the other, the first foot to touch the floor would become the pivot foot. If one foot is on the floor when that player gains control or ends a dribble, two legal means of coming to a stop are possible. He may bring his other foot to the floor and thereby stop, or momentum may cause him to jump off that foot which is already on the floor and land on both feet simultaneously. This is a legal jump stop. Once the pivot foot is established … it may be LIFTED but NOT RETURNED to the floor before the ball is released for a pass or try for goal. Did the dribble end with one or both feet on the floor? Which foot should be considered the pivot foot? Did the pivot foot touch the floor again – BEFORE the ball was released for the try? If the answer to number three (above) was YES, then this Euro Step would be considered illegal. If the ball was released then player stayed within the “prescribed limits” of movement and would be considered legal. Worth mentioning is the action of the hand in the cross over movement while dribbling. Did you consider this illegal “palming” of the ball during the dribble? The player continues the dribble after the above. As player become quicker and more skilled there will be coaches that teach moves outside the prescribed limits of movement to test our knowledge and recognition of the dribble and travel rules. By knowing the pivot foot limitations will be the first step in understanding the limitations of a dribbler when it comes to new moves like the Euro Step. Give our “60 Seconds on Officiating” community YOUR opinion (below) on the legality of the Euro Step. Since 2007, 60 Seconds on Officiating has been teaching, serving and inspiring basketball officials in over 90 countries worldwide. Additionally through our Amazon educational library “Ref60” uses 100% of the proceeds from book sales for teaching current and future referees. It s a travel. The left foot is the pivot foot and he moves it, steps with it, then shoots the ball. Clearly a travel. Disagree, Jim. Left foot is pivot, but he legally lifts it and then shoots the ball before pivot foot returns to the floor. This is legal. Sorry, Ryan that’s incorrect. A lot of people think this and they get angry and try to call traveling. However, the rule is very clear. The pivot foot may be picked up when shooting or passing but cannot be returned to the floor before the shot or pass occurs. He ended his dribble with his left foot on the ground making his left foot his pivot foot, then he took the step to the right with his right foot not returning his pivot foot to the floor. If what you are saying is true then the running layup would be illegal. I’ve coached middle school basketball for over 10 years and I’ve attended seminars, read books and watch countless videos on this by experts. You just watched the video Confirm that it is illegal and so densely said anyway “as the video confirmed, nothing illegal about it”. MANU told you he didn’t think it was illegal. The video didn’t Confirm there was nothing illegal. It confirmed MANU does an Illegal move on purpose. (2) As the foot touches the floor, or as both feet touch the floor simultane- ously after he receives the ball, if both feet are off the floor when he receives it. c. A player who comes to a stop on the count of one may pivot, using either foot as the pivot foot. d. A player who comes to a stop on the count of two, with one foot in advance of the other, may pivot using only the rear foot as the pivot foot. e. A player who comes to a stop on the count of two, with neither foot in advance of the other, may use either foot as the pivot foot. Agree with Matt. Left is pivot, he releases ball before left returns to floor. You didn’t just watch him then plant his right foot into the floor after picking up his pivot foot? So his right foot was his pivot foot 3 steps before that too. Since you seem to think you can do anything after calling it your pivot foot, why does it matter Which pivot foot you’re referring too? You just ignoring that he then made his right foot his Last pivot foot, and talked about his left one before that. I saw 3 or 4 people say that after WATCHING it in slow motion! Read the rules! You can’t just pick up your pivot foot and let your other foot touch the floor since it hasn’t touched yet lol wtf! NEITHER foot can touch once your pivot foot leaves. I can’t believe something so obvious is being said wrong by so many idiots! You just watched it blatantly go against the rulebook! legal the ball is gone before the pivot foot returns to the floor.It is just a good move. No its not! You’d have be so stupid to think its legal! If you were to just stop, period. Lift your right foot up, jump with your left(since its your pivot), then you Have to get rid of the ball before EITHER foot hits the ground! So why would you think he can just take another step with his right because his left didn’t touch again? How stupid is that? That’s the definition of traveling so that players don’t do it! So they don’t do That! Actually, you can do that. If I come to the floor and stop establishing a pivot foot then I can use that pivot foot to launch myself into a step or jump in either direction. Manu could have stopped establishing his left as his pivot foot, done about 6 jab steps with his right foot keeping his left pivot foot on the ground, then launched himself to the right landing on his right foot, then shooting. As long as his pivot foot doesn’t come to the floor, it’s legal. I’m sorry that you don’t like the rule, but you are wrong. Legal move. Left foot is the pivot; he lifts it and jumps off the right foot. Looks funny because we aren’t used to seeing it, but nothing illegal that I can see. Exactly he lifts it and jumps off his right foot, which is why it’s ILLEGAL. By your logic, he could stop, jump off his left foot, and then just keep hopping all over the court on his right foot just as long as he wants, cause his pivot foot didn’t land….that’s how ridiculous it is…back IN REALITY, so that that can’t happen, the real rule is that NEITHER foot can touch again once his pivot foot leaves the floor. He had to get rid of it before his right foot touches. Actually, Ryan no one has said that. If he started hopping then he taken more than 2 steps (1 1/2 for purists) However, he didn’t hop. He took one step to the right after establishing a pivot foot. Completely legal. This is a good move. You can see that the left foot is the pivot foot and does not return to the floor. This move is performed by highly skilled players. If you pause the video at the 1:05 mark, it shows that the dribble has ended as he is holding the ball above his left knee. At that point (if you are able to pause the video right as it turns to 1:05), his right foot is on the ground and left foot is in the air. By rule his right foot is pivot. He then comes down on the left, then steps and comes down with the right (pivot foot) before releasing the ball. I make the argument for a travel violation. if you stop it at .47 you will see that as dribble stops , left foot will become pivot. It doesn’t return until shot is gone. yes!!! his RIGHT foot is the pivot… he lifts it then puts it back to the floor… traveling! Looks a lot like a step through that had been modified to look a little bit different. This is legal. This is the easiest no call ever. No even close to a travel. Look at the video. Both hands are on the ball. Dribble has ended. Left foot is NOT on the floor. Close but NOT on the floor. Right foot is the pivot foot. Steps with left. By rule, ball MUST be released before the pivot foot, right foot, comes to the floor again. Steps with the right and it hits the floor and then the shot goes up. Traveling violation. If you watch when he splits the double team he pushes the ball left and carries the ball before he makes his move to the basket so I would call that violation first. Seeing this move more frequently, nothing illegal about this move here in the video. Non-professional players will carry the ball more often when making this move or the defense will foul. Looks weird, like jumping off your right foot for a right-handed lay-up. Weird does not make it illegal. Regardless of how you rule on it..in a game, we have to make split decisions and cannot rewind, rethink, pause and/or debate it. Looks legal to me without a rewind and pause but what’s more important is that we have this clip to prepare us to anticipate these moves and be prepared to make a ruling on its legality. These videos make impressions in mind and I replay them in my mind during pregame warmups as I observe player tendencies. Thank you 60 seconds; keep up the great work. Think of this just like the hop through and up to the basket. We should not be calling these travels. This is the new direction of the game and most of the new athletic players have these moves. YOU think about it in the Right terms, and stop misleading people. The rule is so simple its almost impossible to misinterpret as you have! Once he stops dribbling and his left foot becomes the pivot foot, NEITHER foot can touch the floor again once it leaves the floor. “The pivot foot not hitting the floor again” has nothing to do with anything. NEITHER foot can touch again. You must be new to the sport. That’s ok. Everyone has to start somewhere. What rule are you talking about? If you end your dribble with one foot on the ground and then you jump onto two feet that is a traditional jump stop and neither foot is the pivot foot. However, you are talking about a pivot foot. If one is established then the player can lift it and take a step as long as it doesn’t come in contact with the floor before the ball is released then it’s legal. It could be legal or illegal (depends of how it is executed) but anyway I don’t like it. It appears that we are trying to compare apples and oranges, NBA rules allow two steps whereas high school and college allow one. Clearly the euro step is a two step move. It is a travel all day long!!! A couple have mentioned the 1:05 mark on the film, regarding the status of the ball and the Right pivot foot…. Making a call… ” If you cant see it at full speed, it isn’t there”. The dribble ended when the ball was gathered, at that time the Left foot was the pivot. show where “gathering the ball” is defined in the nfhs rule book. “end of dribble” is well defined and it happens with the right foot on the floor… therefore it is the pivot. Agree with Matt. Legal move. Pivot foot never retouched the floor. the LEFT foot is the pivot foot when he gathers the ball. watch it again. it is not about “gather” which is undefined, but rather “end of dribble” which is well-defined as two hands on the ball. this happens with the #right# foot on the floor and it is a traveling violation. This is no doubt a travel. The right foot is the pivot foot. Therefore, once the right foot returns to the floor the player has traveled. Do not think of this as a legal move as ever definition of the euro step is described as a two step process. Which in high school sports two steps is a travel. How does anyone think that this is a legal move. this is simply not true. the dribble ends when both hands are on the ball… this also marks the beginning of the shot. Disagree Chandra. The dribble ends when the dribbler catches or causes the ball to come to rest in one or both hands. In several of these video “takes” the dribble ended when the player had a foot on the ground (the pivot foot) and he then steps to the opposite foot and back to the pivot before releasing the ball on the try. Each video “take” was different; some being “traveling” in my view and others not so. This is a walk. The left foot is the pivot foot. He can lift it to shoot but he must release the ball before the pivot foot comes back down to the floor. He lifts his left pivot foot, steps onto his right foot and lifts his left pivot foot. So far , so good. But then he returns to the floor with his left foot. 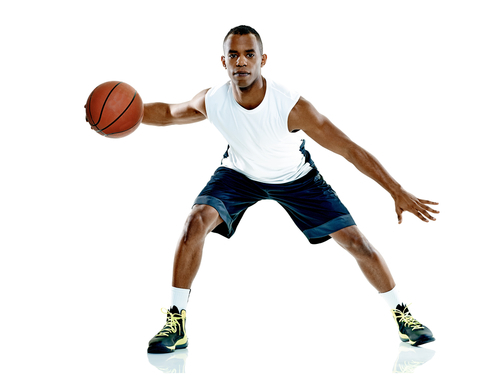 The pivot foot may not return to the floor before the ball is released. That’s a walk and we are going the other way. That’s incorrect. This is not a travel at any level of Basketball. At game speed you cannot stop the tape to review, Therefore, if you are going to call a travel it should be an obvious call. A player is allowed two steps after discontinuing a dribble regardless of how long, awkward, or direction those two steps take the player. If there is no carry/palming violation, or third step, you play on unless there’s a clear-cut third step or shuffle. yes. it should be obvious. in full speed this might not be #recognized# as a travel, but that does not mean that it is not a travel… it is. If done correctly as Manu demonstrated, it is legal. Great move. The biggest question that must be answered is when was the ball gathered, thus resulting in the end of the dribble. It is apparent that this is causing a lot of problems for officials. It shows in the differing opinion as to which is the pivot foot? The left or the right. In order to properly rule on this play you must get the pivot foot correct. In this video he gathers the ball with his left foot on the floor making it the pivot foot. He then steps with his right foot and releases the shot before returning the left foot to the floor (note Manu is also a lefthander and shooting a layup off the right foot is natural for him). A legal move. “gather” is not defined. “end of dribble” is… as two hands on the ball. Legal move. Both feet on the floor when dribble ends, therefore either foot may be established as pivot. He picks up right foot first establishing left as pivot, steps of right, lifts left but releases ball before left returns to floor. By technical definition, the footwork of a “lay-up” is traveling (L-R-L) for a right-hander. Pick up the ball on the first L, then a R, then a L. If the player then passed the ball, it would be a travel…but we allow him/her to make those fluid steps into a shot. Watch the video closely, it is EXACTLY a left-handed lay-up (R-L-R). Spelled out: dribbles and picks up the ball on the first R, then steps L, then the R step, up and shoot. The ONLY very slight variance is that it is not in a straight line. The move from the L to the R is LATERAL!. For some reason everyone is having a tough time recognizing! This is a left-handed lay-up!! If he passed the ball, it is a travel. He is allowed to shoot the ball. a layup does not have to be l-r-l or r-l-r… in fact both of those, as you describe them, are illegal in high school basketball. if he “picks up” the ball with both hands with his right foot down THAT is his pivot foot. if he picks it up, he MUST shoot or pass. in the nba? legal apparently as there are two steps allowed after the end of dribble. Great move. Anyone calling travel is too technical and jealous. Move was first seen in NBA by Latrell Sprewell and Alen Iverson, not Manu Ginobli. Get your game up and your history. Analysis to paralysis is always detrimental to the game. Love the sport. Don’t hate congratulate. I disagree with Rob as to “we allow the L-R-L”…The perfect non travel lay up is that the left foot should not be on the ground when the ball is gathered…the player should be between steps, (in the air) gather the ball, put the right foot on the floor (pivot) THEN step with the left foot (one step) and up…Two steps is illegal by the rules. I am not aware of anywhere in the in the rule book where it says they can take two steps when they take a lay up. Certainly, there are not two separate rules for passing and shooting. As far as the video goes, it does appear to me that his left foot is the pivot foot, and if thats the case…NO TRAVEL…Just my two cents. Bob, I agree with you by far the most out of these comments. It’s our definition of “step” that’s throwing us off. Those that say two “steps” is a travel are correct! However, the first foot that comes down (in your first example, the right foot) is the pivot, then a “step” comes, and then you’re up, and shoot. If you gather in the air, establish a pivot, step, jump and pass – still legal. It all depends on when you gather the ball – if gathered too soon, it is a travel. Travel – Dribble ended with right foot on floor. When it comes down again during the layup…travel. Watch video closely. This is multiple takes. I believe he travels in one and legal in others. Watch foot position in lane and defenders. I believe everyone is right because there was a legal move and illegal move. The first time through at 1:05 he establishes his pivot foot as his right foot. Then he steps with his left and then again with his right. That’s a travel at any level except the NBA. The NBA made a slight modification to their rules in 2009 that make this legal. In the NBA, the first step occurs “after he’s gained control of the ball”. He doesn’t maintain control until after he’s grasped it with both hands. This occurs just after the right step at 1:05. So his first step is with his left foot. So his left foot is now his pivot foot in the NBA. How is this different from a standard lay-up? It’s simply a change in direction during the two steps. The difficulty to me is determining when did the dribble stop. You could make the argument that it stopped when his right foot was still on the floor (establishing the pivot foot) or it stopped just after the right foot left the floor (establishing the left foot as the pivot foot). So in this case since to me it is too close to call, I follow the ‘if you THINK it is a travel, take a pass. If you KNOW it is a travel, call it.” I go with it is legal only because it is too close to call. Shouldn’t you have to actually, you know, PIVOT with your pivot foot? All he’s doing is picking up the ball and walking around with it. This move should have never been allowed.. I mean, I’m going to pick up the ball, take two steps in whatever direction I feel like — and at whatever speed — and it’s apparently legal as can be. The other thing to pay attention to is how fast the player executes this move. When Manu is demonstrating, he’s not necessarily playing at “game speed”. This can change the moment when the ball is gathered, and usually when it’s done very slowly, the gather point happens “earlier” in the step sequence. For a right handed layup, a very slow “demonstration” would put the gathering motion while the left foot is still on the ground, making it the pivot foot. Then you step right, and back to left to go up and shoot, and you’ve travelled. At game speed, the gather happens “between steps”, just after the left foot has come up off the floor, so that the right foot becomes the pivot. Then you step left and go up to shoot and everything’s fine. Manu’s shooting a left handed layup here, so it’s the opposite feet, but the same idea applies: when you slow it down enough, it *becomes* a travel because the gather happens a half step too soon. We can slow our steps down to demonstrate a layup, but we can’t slow gravity down to make the ball hang in the air a bit longer before we gather it. I went over and over this video and the best I can tell his right foot is on the floor when he has gathered the ball in. When his right foot hits the floor again without releasing the ball it is a travel. It is extremely difficult to determine if Manu picks up (gathers) the ball with one or 2 feet on the ground. For the setup of the move to occur legally, 2 feet have to be on the ground. Assuming this happens (and he has his right toe and left heel on the ground it seems), then, the left foot becomes the pivot foot which then is lifted and never put back down. Manu still is allowed to land and use his right foot to elevate himself to the basket since he does not return his pivot foot to the ground. This move truly skirts through the traveling violation loopholes, just as the player skirts around the defender. this discussion is full of non-rule based terms and arguments. there is no such term as “gather” or “step” defined in the nfhs basketball rule book. there #are# terms such as “dribble” and “pivot” defined however… and the traveling violation is based on these definitions. a “dribble” ends when a player touches the ball with both hands. the “pivot” foot is the one on the ground when the dribble ends. the “pivot” foot cannot leave the ground and return before the dribbler passes or shoots. end of story. you may judge that, in the video, the “dribble” does not end (two hands on the ball!) until his left foot is down. if this is your judgment, then his left foot is the “pivot” and it’s not traveling. in my judgment, he has both hands on the ball with his right foot down, so it is a violation. How is the Euro step not considered a jump, like in the pro hop or hop step? The last jump is not a natural movement like in a regular layup. And since it’s not a legal hop, then it’s a travel. Wow…a lot weighed in on this one. Clearly the pivot foot is what determines whether this move is legal or not. From my prospective, the dribble ended just prior to the left foot contacting the floor. The left foot is the pivot foot. As he steps through with his right foot, the left pivot foot never contacted the floor until the ball was released. This by rule, is a legal play. about the euro step in general, as a player who does this move regularly: it’s just a layup where your two steps are taken in opposite directions instead of all in the same line. nothing more. legal. James, you may get away with it, but it is clearly traveling. The difference between the regular layup and the eurostep is that you pick up the ball thereby establishing the pivot. In a regular layup the transition from dribbling to shooting is a continuous motion. The problem with the play is that too many officials who are new and don’t know the traveling rule well enough let it go so there is not sufficient consistency. Also, you are not allowed 2 steps on a layup. If he had timed his gather after the dribble correctly, he would have gathered as the left foot is on the floor, thus either establishing it as the pivot (if it is the only foot on the floor) or allowing it to become the pivot (if the right is also on the floor at that point, then lifted to make the left the pivot). In that case the move would be legal. However, if you slow the video enough you can see that he finishes his dribble with the right foot only in contact with the floor, thus establishing a pivot earlier than he intended, i.e. the right foot is the pivot. The only further step allowed at that point is to place the left foot, from which he may now spring for a shot. The pivot (right foot) must not return to the floor before the ball has been played. He, however, does return the right foot to the floor, making it a travel. That is everywhere except the NBA. In the NBA this is explicitly OK since the rule change and has been implicitly allowed for a while. Unless the “Euro-step” is defined as taking two full steps, it is not necessarily illegal in itself. As stated above, if he had only taken care to gather his dribble with the left foot, both feet, or neither foot, in contact with the floor, he would be OK – left foot pivot, jump off the right, left pivot foot does not return to floor before shot or pass is launched. As it is he gathered a shade early and ended up travelling. Right foot is the pivot foot. Therefore this was a travel. This was very close making it a tough call, but most of the times I have seen this move in high school or college games it has obviously been a travel. The simple rule is you don’t get 2 steps. if the euro step is done by hopping or a jump then it’s clearly illegal. If you slow it down the video and about 1:04 minute, you’ll see when the dribbler makes contact with both hands on the ball ending the dribble and the right foot is on the floor ( therefore the pivot foot) and very close behind the left foot touches the floor. He then lifts pivot foot and contacts floor again before the shot. Therefore a travel ruling would be correct here. Just to clarify there’s two cuts at 1.05 and 1.06. One (1.05) he slows down the motion for illustration purposes. At 1.06 you can just see him gather the ball when the left plants, making the left his pivot foot. The classic Euro step always ends with the ball gathered on the first lateral step. I think the mistake with this video is they have attempted to slow it down and he’s gathered the ball early for illustration purposes. Now I agree if he gathers when the right is planted that’s the pivot foot, however that’s not the case here. LEGAL. Here’s why. The key is to identify when the dribble ends (ball caught). No matter how you want to parse this, you would be guessing if you think the dribble was ended (ball caught) while the right foot was still on the floor. This highly skilled player was gathering in the ball as he moved across to his left but he does not CLEARLY catch the ball until he gets to his left. All the movement to his left is part of the player ending his dribble and is legal. As he does this, the right foot is ever-so-slightly OFF the floor. To say anything else would be a GUESS at best because you cannot be certain that the ball is caught. Things get a lot clearer the moment there’s no doubt about the ball being caught (he slaps the other hand onto the ball) when the left is on the floor. So that establishes the left as his pivot foot. After that, what’s the issue? There is none. He steps to his right and takes off, releasing his layup with his left hand well before the left returns to the floor. Don’t be “Deputy Dog” (gotcha!) We officials are trained NOT TO GUESS so as to not unduly penalize a skilled player. LEGAL. Live it. Love it. Learn to chew on that whistle and don’t blow until you are sure! I think people in this discussion are overlooking the way the acceptance of the “Euro step” has negatively influenced footwork especially in the pro game. What I observe is that because of the stretching of the interpretation of what a player can do with a pivot foot at the end of a drive, it is now common place to see post play with a catch of the ball a pivot foot established and a pivot on right/left foot, then often the player will slide that pivot foot and/or simply pivot on the other foot somewhere in his progression without it being called. Likewise, on the front-end of drives from triple threat it used to be that if a player jab stepped with a foot and then tried to start a drive by moving the pivot foot priors to putting the ball down on a dribble drive that was routinely called, now it is routinely ignored. What you have here is a theoretic discussion without discussion of unintended consequences. Total Walk. He touches ball to stop dribble when right foot on ground, established as the pivot foot. He then steps left and back right, landing the pivot foot again. As outlined on USA Basketball explanation of rules of when is the pivot foot established, it is at the point both hands contact the ball to end the dribble. That is “count one” as well and his right foot is on the ground. Period. Most referees don’t get the concept and many now never played the game to understand how to make it look “smooth” so they let it go.